Atlas Element review | What Hi-Fi? 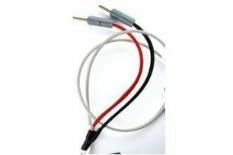 If you peruse the speaker cable review section of this website, it's apparent that less than a fiver per metre spent on speaker cable doesn't give the very best results. Atlas's fiercely priced Element cable, a slim, unassuming design, is aiming to offer a bit of authentic quality to the owners of micro-systems, cinema-in-a-box set-ups and the like. It gets most of the way there, too. John Robinson's I Am Not For Sale sounds well-organised and potent via the Atlas, with a briskly attacking, nicely textured top end. The midrange in general, and voices especially, sounds intimate – there's plenty of detail on display and a pretty agile way with dynamics. It times well, too, the first hit, pluck or breath of notes packed with information. Switching to Gang Starr's Full Clip exposes the Element's slightly tentative low-frequency reproduction. There's no shortage of detail or tonal variation to bass sounds, but the outright weight and punch the music demands is only partially present. There's a soft centre to kick drums and so on that leaves us hankering after a bit more substance. Still, the Atlas Element is in an entirely different league to the speaker cable your micro-system came with, and an upgrade from that to this reaps real rewards.